Our reception is open everyday from 9.00am to 5.00pm, Monday to Friday. For July and August we’re open from 8.00am to 5.00pm. Exit the A9 and turn right south of Aviemore onto the B9152 towards Kingussie. Follow this road for approximately 4 miles past Alvie Church then a bit further on the entrance to Dalraddy Holiday Park is on the left. Exit the A9 north of Kingussie onto the B9152 heading North towards Aviemore. Follow this road for approximately 8 miles, through the village of Kincraig and past Alvie Estate which will be on the left. 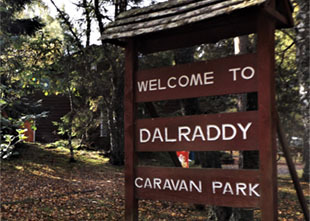 Approx half a mile past Alvie Estate the entrance to Dalraddy Holiday Park is on the right.